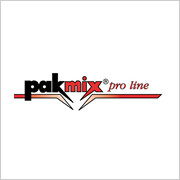 Welcome to Rite-Crete Concrete Products, a division of Woodruff Supply Co.,Inc., we are an authorized PakMix dealer located in Madisonville, KY which offers many different products for home building, mining supply and commerical use. Rite-Crete Concrete is a family owned business that was formed in 1981 who has always focused on ensuring that the customer receives a good product in a timely manner. Monday-Friday 6 AM-3:30 PM Central Standard Time. Copyright 2017 Rite-Crete Concrete Products. All rights reserved.